This detailed interpretation confronts central theoretical elements of Kant's critical philosophy and Fichte's early philosophy of science. These include both the pure and the concrete ego, the derivation and justification of categories, and the Ding an sich. 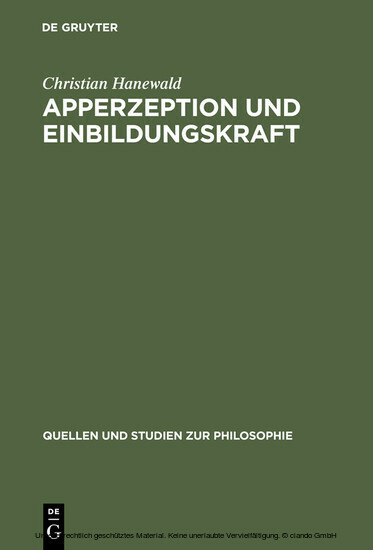 In the development of these topics, the study demonstrates that the approaches of Kant and Fichte are not only of pre-eminent historical significance, but that each in its own way provides fundamentals for a philosophy of mind and epistemology. The author is Assistant Professor in the Philosophy Department of the University of Cologne.